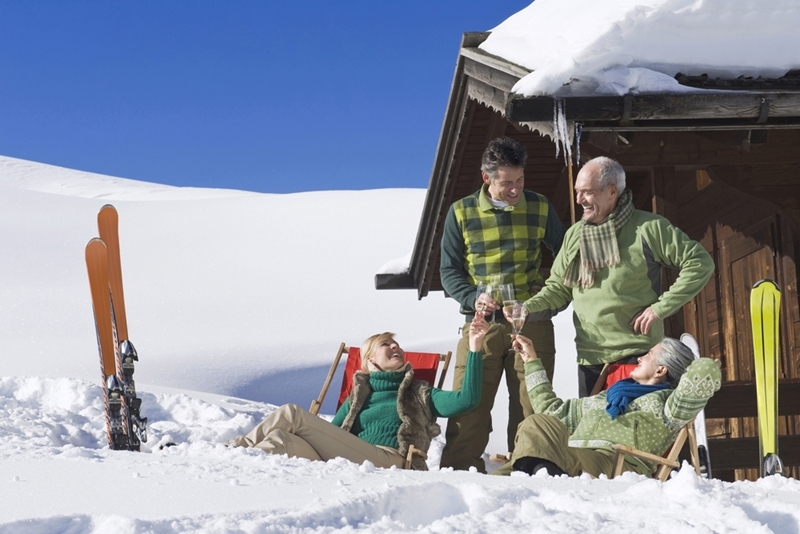 Do you need travel insurance this winter holiday? Winter is a time of year that is often dreaded by many Australians. The days get shorter, the nights get darker, the weather gets colder and more miserable - many people likely wish we could skip straight from autumn into spring. However, for the snow sport enthusiasts of the country, this is as close to Christmas in July as they can get. Skiing alone has been a popular sport in Australia since the 1860s, while snow sports in general holds the title of the eleventh most popular sporting activity in the country, beating out even netball, surfing and cricket according to the Snowsports Industries of Australia. Every winter, hundreds of thousands of visitors head to our slopes, with the Alpine Resorts Coordinating Council reporting over 760,000 visitors to the Victorian lodges alone. Many of these will be Australians, but local snow enthusiasts also have a penchant for foreign runs as well. According to Tourism New Zealand, about 65,000 Australians ski at least once during their visit to our cousins across the pond. Are you heading to the slopes this winter? It's a fact that without adequate skill or protection, snow sports can be seriously dangerous. As fun as the combination of new sights and fresh powder can be, snow sports is still one of the more problematic activities when it comes to injuries. From 2011 to 2012, the Australian Institute of Health and Welfare recorded over 1,100 cases of people requiring hospital care due to snow sport injuries, 9 per cent of which were considered to pose a high threat to life. That could put you in the hospital for a long stay at the very least, and could cripple or even kill somebody who was particularly unlucky. In Australia, you could be covered by your private health insurance, but in New Zealand you may end up being charged for the emergency transport costs: These are not covered by the reciprocal health agreement. Not only could you be left with a broken arm, but with a broken bank balance as well - issues that may have been solved with the right travel insurance package. Even a wrist sprain could put an end to your snow ambitions. However, it isn't just injuries that travel insurance can cover. Issues can crop up that can put an end to your holiday before it's even begun, requiring you to cancel hotels, flights and all the other necessary parts of going on a skiing holiday. You or one of your party could get injured in the run up to departure, or your flights might end up being cancelled due to unforeseen circumstances. Furthermore, you'll find that if one part of your holiday doesn't go to plan, it can create a cavalcade of other issues - a domino effect resulting in a serious headache as well as a significant financial cost. These issues can also appear once your adventure has actually begun as well. Snow equipment is tailored to your use, is very expensive and can be difficult to replace on short notice. What if you find that your luggage is one of the 23.1 million bags that SITA reports were mishandled in 2015? Your snowboard isn't going to be of much use to you if it ends up getting sent to Delhi instead of Auckland. While many holidays will end up going off without a hitch, there is always that risk of something going wrong while you are overseas. Make sure you mitigate the damage by investing in an appropriate travel insurance package. You can find out more from us here at HICA on 1300 44 22 01.